Xiaomi just trying to enter to Indian smartphone market with it’s Mi series with a huge rush. We have 10 best reasons to choose Xiaomi Mi3, Over all other smartphones. Xiaomi Mi3 has got the name as “Apple of China”, because of it s best features that are very amazing just like apple series of iOS phones. And the amazing and best part in Xiaomi Mi3 is its price. Price of Xiaomi Mi3 is just Rs 15000 rupees, which is just awesome. For comparison between Xiaomi Mi3 and ASUS Zenfone and their reviews, please follow this link here. The waiting for Xiaomi release is completed, with its Online store release, through Flipkart.com. Previously Xiaomi Mi3 was rumored to launch Mi3 in India, it was expected to be priced at Rs.14,999 . 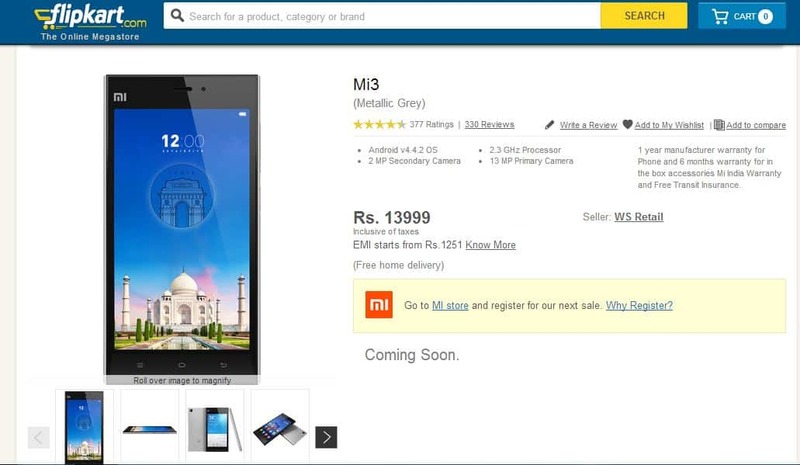 Now it was confirmed through flipkart that the Xiaomi Mi3 pricing is Rs. 13,999, which is pretty impressive and it is offering great competition for all other smart phones like Moto G, Asus Zenfone. The primary versions of Xiaomi is reduced to only 10k, while the 16gb version of Xiaomi Mi3 is priced at Rs.13,999. With all the hardware this smartphone has in it, the price of Rs 13,999 is a steal. The primary thing in any smartphone is its Hardware and performance. The best thing which everyone can notice in Xiaomi Mi3 is its impressive hardware specifications. 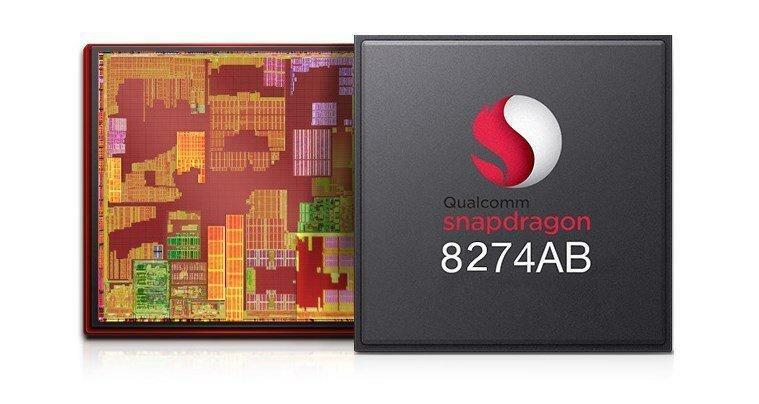 The Xiaomi Mi3 is powered by a 2.3 GHz Snapdragon 800 quad core processor which is coupled with an ample 2GB of Ram and a Adreno 330 GPU . 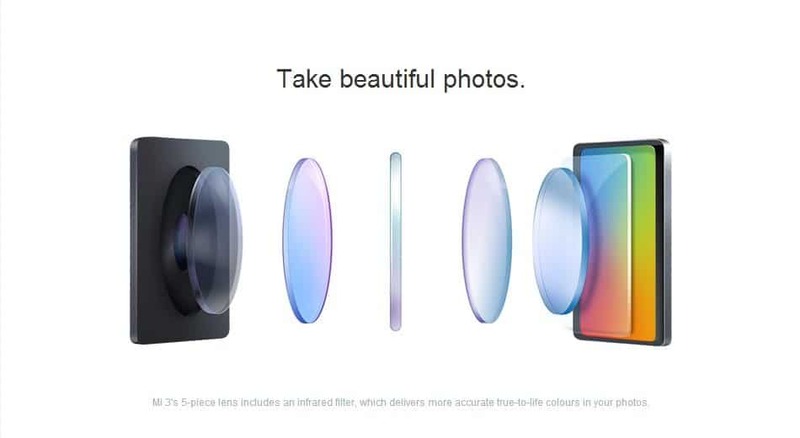 As for the display, the smartphone has a 5 inch IPS LCD display with a resolution of 1080p (441 ppi pixel density). With all the above specifications of Xiaomi Mi3, the other important feature is Memory. The internal Memory of Xiaomi Mi3 comes with 16gb and Xiaomi Mi3 doesnt comes with the Expandable memory. The option of not having the expendable memory, doesnt makes any difference, because even the Iphone 5S, doesnt have Expandable memory.